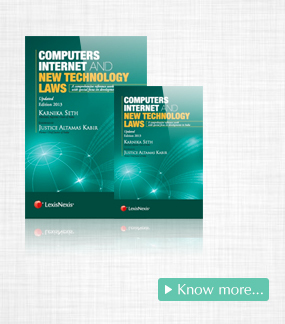 The subject of Information Technology law is as dynamic as the field of Information Technology (“IT”) itself. Rapid advancements in Information Technology necessitate adapting the existing laws or creation of new laws to regulate the cyberspace and at the same time allow it such freedom as is essential to harness its full potential for the benefit of mankind. 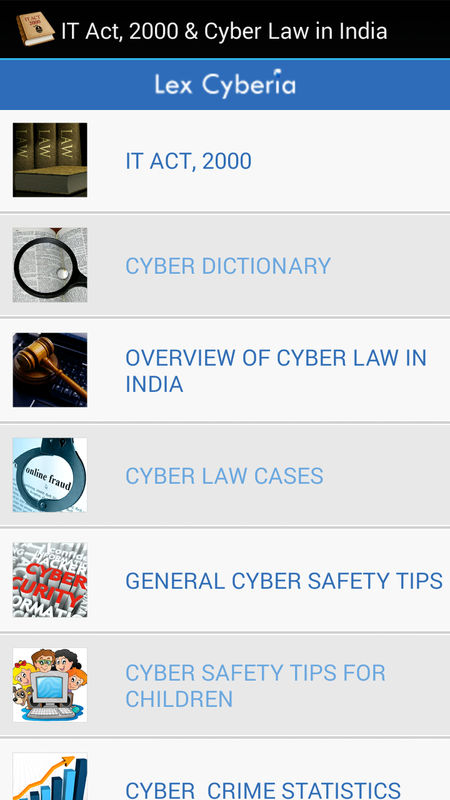 Information Technology law regulates not only our actions in the cyber space but also when we use computers or internet or communication devices such as cell phones in our offline actions vis a vis persons, entities or any property . IT has expanded its horizons in the last few decades. Its significance has broadened from a mere facilitator of information dissemination to a powerful means of communication, exchange of ideas through social media & social learning. An apt example of this in the year 2011 is the Anna Hazare campaign which became a highlight point on facebook wherein more than one lac followers joined the movement through facebook11Kapil Ohri, “ How powerful is Anna Hazare on Facebook and Twitter?”,afaqs,Aug 18,2011, . Censorship of Internet was a highly debated and discussed topic when Google and Facebook amongst others, were sued for allegedly hosting offensive content on their websites and a Delhi Court ordered 22 websites to remove the objectionable content from its sites2. These service providers faced both civil and criminal cases in different matters for hosting offensive content which brought issues such as censorship, due diligence and filtering to the fore front. This survey will discuss the recent developments in cyberlaws , in particular, the recent decisions passed by the Indian Courts to interpret and elucidate the extant cyberlaw. Before case laws discussed, this survey provides a brief summary of the IT Act,2000 , particularly the recentamendments made in the IT Act,2000 and the recent rules framed under the Act. The Indian Information Technology law is governed by the IT Act, 2000 which received the President’s assent on 9 June, 2000. The IT Act, 2000 is based on the Model of Law on Electronic Commerce adopted by the United Nation Commission Of Trade Law by Resolution of General Assembly of United Nations(UN). 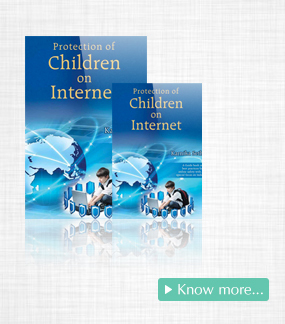 The IT Act is applicable to the whole of India and applies in case an offence or contravention is committed outside India by any person irrespective of his/her nationality, if the act amounts to an offence or contravention and involves computer or computer systems or network located in India. The IT Act was enacted to provide legal recognition for transactions conducted through e-communication and to facilitate e-filing of documents with the government departments. The third objective mentioned in the Preamble of the said Act is to amend the Indian Penal Code Act 1860, Evidence Act, 1872, Banker’s Books Evidence Act, 1891, RBI Act, 1934.The IT Act,2000 contains 13 Chapters & 90 Sections & 2 Schedules. The First Schedule was substituted by the IT (Amendment) Act, 2008 that provides list of documents which the IT Act,2000 excludes from its ambit of application viz. Power of Attorney , trust, bills and contracts of sale of immovable property.The Second Schedule of the IT Act, 2000 is also substituted by the IT (Amendment) Act, 2008 to describe the electronic signatures & procedures for its affixation, which will comprise legally valid means of authentication under IT Act, 2000 that the Central Govt. is empowered to prescribe under Section 3A.